The devastation homicide inflicts on black teens and adults is a national crisis, yet it is all too often ignored outside of affected communities. 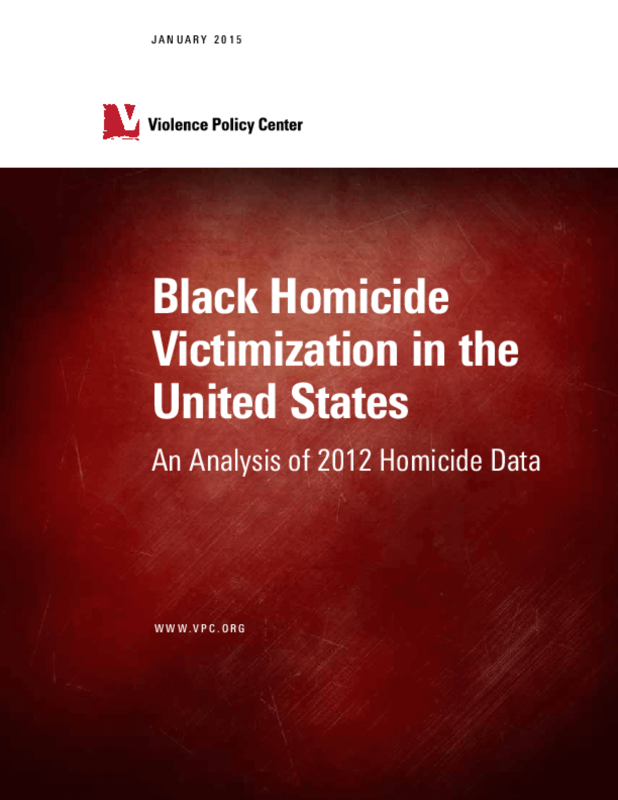 This study examines the problem of black homicide victimization at the state level by analyzing unpublished Supplementary Homicide Report (SHR) data for black homicide victimization submitted to the Federal Bureau of Investigation (FBI). The information used for this report is for the year 2012 and is the most recent data available. This is the first analysis of the 2012 data on black homicide victims to offer breakdowns of cases in the 10 states with the highest black homicide victimization rates and the first to rank the states by the rate of black homicide victims. It is important to note that the SHR data used in this report comes from law enforcement reporting at the local level. While there are coding guidelines followed by the law enforcement agencies, the amount of information submitted to the SHR system, and the interpretation that results in the information submitted (for example, gang involvement) will vary from agency to agency. 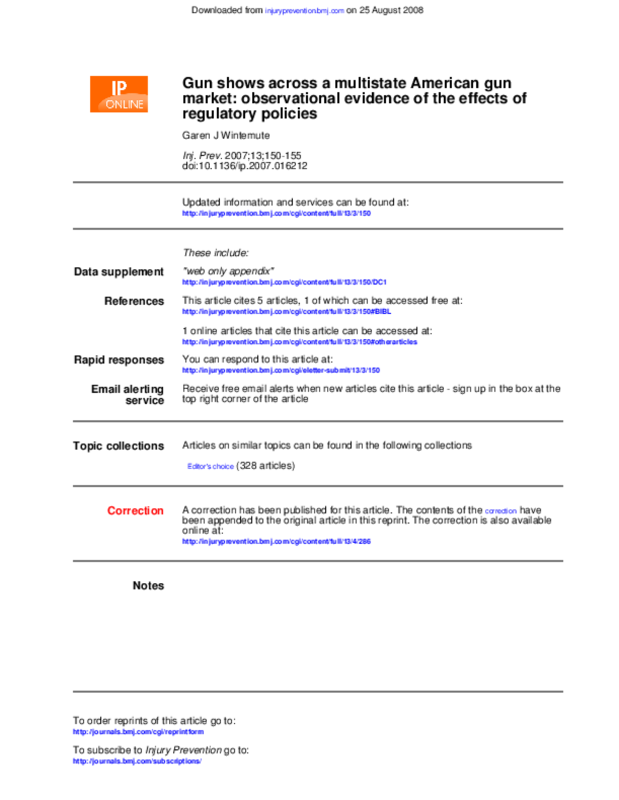 While this study utilizes the best and most recent data available, it is limited by the quantity and degree of detail in the information submitted. In the last two decades, with the Law Center's dedicated team of attorneys leading the way, California has become a national leader in the movement for effective gun laws. The rate of gun violence in California has also fallen notably compared to rest of the country. Today, California has the ninth lowest gun death rate of any state nationwide when twenty years ago, it had the thirty-fifth lowest rate. California has taken a comprehensive and courageous approach to addressing the epidemic of gun violence, and that approach has succeeded. The state's strong gun laws not only help save lives, but also reduce the trafficking of illegal guns to other states and to Mexico, protecting lives in neighboring communities. 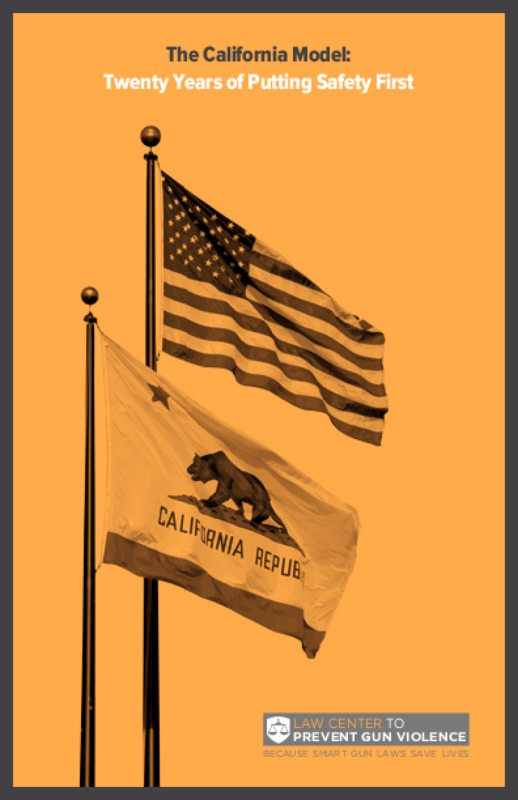 This publication examines the history of success in enacting smart gun laws in California and how those laws have contributed to a significant drop in gun death rates in the state. Homicide is the second leading cause of death for California youth and young adults ages 10 to 24 years old. In 2010, the most recent year for which complete data is available from the federal Centers for Disease Control and Prevention (CDC), homicides in California were outpaced only by unintentional injuries -- the majority of which were motor vehicle fatalities -- as the leading cause of death for this age group. Of the nearly 700 homicides reported, 85 percent were committed with firearms. 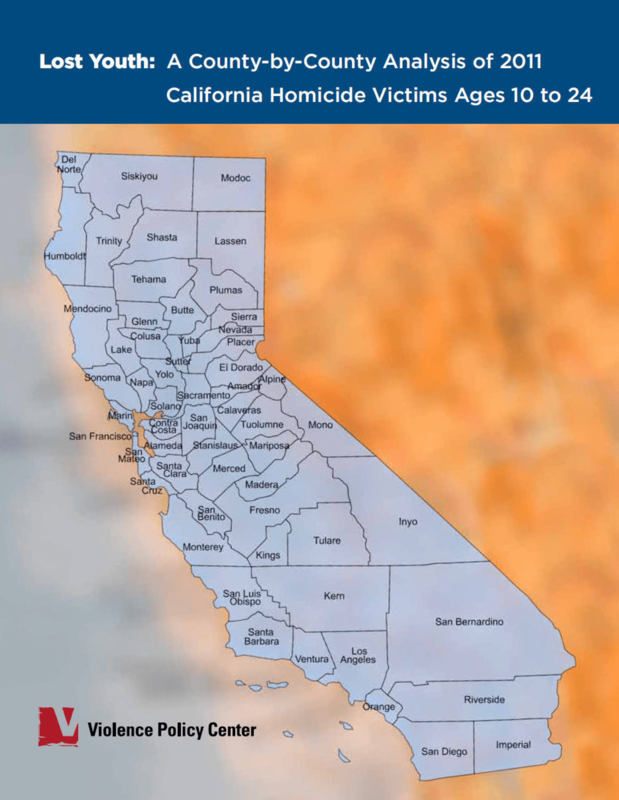 Nationally in 2010, California had the 14th highest homicide rate for youth and young adults ages 10 to 24.1. The primary goal of this series of reports is to offer localized information on the county level in California to better inform citizens,advocates, service providers, and policymakers. This third edition of this report includes a new section that begins with an assessment of the known impact of "tough on crime" policies (the all-too-frequent default response to violence in general, and youth violence in particular), reviews current national and California-specific prevention-focused violence-reduction efforts, and concludes by highlighting three local California programs that have demonstrated success: Second Chance Family and Youth Services in Salinas; Youth Alive! in Oakland; and, the Gang Reduction and Youth Development Program (GRYD) in Los Angeles. All too often, the devastating effects of violence are little recognized outside of those who are directly affected. By comparing on a county-by-county level the homicide rates for youth and young adults in California, it is our goal to add a new, ongoing context for information to be presented while helping support discussion, analysis, policy development, and action. Above all, this work is conducted in the belief that information aids in the development of sound prevention strategies -- on the local, state, and national levels.